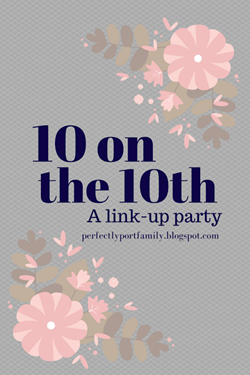 This month’s topic for 10 on the 10th with Perfectly Port is 10 Favorite Gifts To Give. When I saw this topic, I thought it was perfect for today, since it’s my birthday, and I can give you all ideas of what to get for me! However, many of the gifts I give are for children, so some of these ideas would not work for my birthday. I’ll let you figure it out! Some of the linked items may be affiliate links, meaning that if you click on them and then make a purchase, I may receive a small amount back. Puzzles are another item that I stock up on when they go on sale. I try to keep a variety on hand for various aged friends. Zachary and I also enjoy doing puzzles and there are many I want for us! My favorite puzzle brand is Ravensburger because the pieces fit together well and their images are so pretty, plus they aren’t overly expensive, even for the puzzles with more pieces. We also completed the Disney Pins puzzle from Ceaco, and I would purchase that brand again too. 1. You Measure Up | 2. Scottie Dog Purim Gift | Harry Potter Purim | 4. Drink Themed Gift | 5. Orange You Glad It’s Winter Break? I always love getting to choose something for myself if I received a gift card as a gift! My kids like receiving them too. Only problem is they always end up spending more than on the card and I have to pay the difference! Gabbie got a lot of nice necklaces for her Bat Mitzvah. One of the nicest gifts I have received was a Pandora bracelet. I have a friend who has already received jewelry from me too many times, so I have to make sure I change up what I buy her next time! 1. Pandora Bracelet | 2. Tribe (Sayings) Jewelry from Cents of Style – they have a lot of options! | 3. Motivate Wraps | 4. Necklace Gabbie bought for me! A wedding gift I have given in the past a few times is a personalized wedding platter featuring the names of the bride, groom, and their wedding party. The difficulty is that if you don’t know the friends of the bride and groom, you have to ask someone to get you all of the details, including everyone’s hair colors! And another problem – they don’t offer bald as an option for the men! You can always find great items to personalize on Etsy! I recently wrote about the free knitting patterns out there for babies. I often give knitted items as baby gifts. I have also knitted for teachers in the past – Knitted Teachers’ Gifts! Everyone loves to eat, right? Giving food as a gift is something you have to be careful with, as people may have dietary restrictions you might not be aware of, etc. However, I usually can’t help but add candy to the themed gifts I give, and in fact the Purim gifts are all focused around food! Another gift to consider is a lunch or dinner out! The best gift I ever received would have to be a Disney Cruise! Dave gifted it to me for my birthday 2 months before the trip. Experiences don’t have to be as grand as a cruise. He also once took me to see a Cirque du Soleil show for our anniversary and I loved that too! That was certainly a lot of gift ideas! What are your favorite gifts to give or receive?